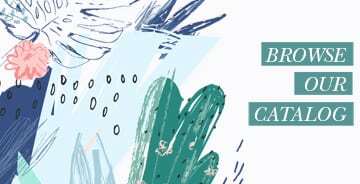 Announcing the Just Open the Door Online Bible Study | Sign Up! As much as we love chunky sweaters, cozy snow days, and a good cup of hot cocoa, we’re looking forward to spring coming soon. 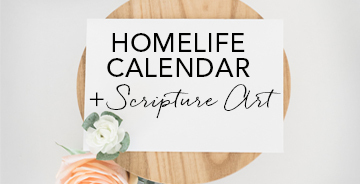 Not only does this upcoming season mean sunny days and spring wardrobes but—you guessed it—spring also means the start of our next online Bible study! We’ll study Jen Schmidt’s Just Open the Door Bible study for 7 weeks, starting on Thursday, March 7. 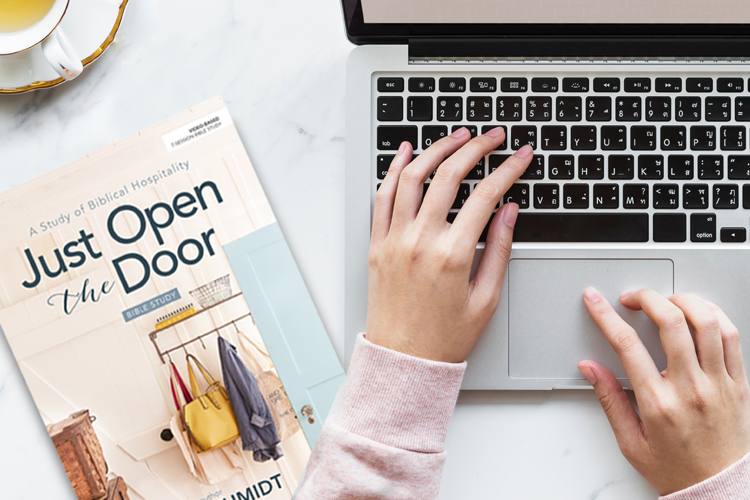 As we study Just Open the Door with Jen Schmidt, we’ll look to Jesus as our model for hospitality. We’ll discover how He lived a life full of interruptions, yet always welcomed people and invited them to follow Him. Our hope is that, as we study together, we’ll learn to replace cultural expectations with biblical hospitality to create a legacy of invitation and reflect Jesus through simple acts of service. To learn more about this study, watch the video below or click here. 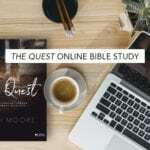 We’ll study together on our new online Bible study website: onlinestudy.smallgroup.com. 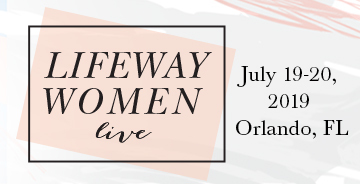 And don’t worry—LifeWay Women will still be hosting, answering your questions, and studying alongside you. 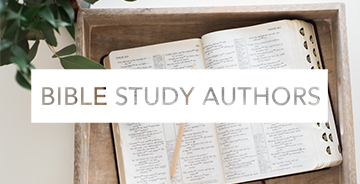 This will be our third online Bible study on the new website, so we’ve continued to make improvements along the way to make this the best experience possible! 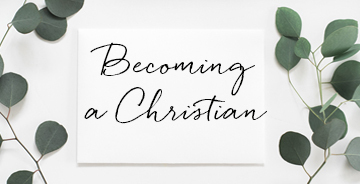 *If you’ve ever purchased something on LifeWay.com, you should have created a LifeWay Account. That is the email and password you’ll want to use to log in. If you no longer use the email you originally set up as your LifeWay Account, feel free to click “Register” to create a new account. This email is where you’ll also receive email notifications to remind you that the newest session is now available to watch, so be sure you select one where you’d like to be receiving emails! We’ll post a new video session on onlinestudy.smallgroup.com on Thursdays at 5 a.m. CT (barring any technical difficulties). Once you log in, you will see the available sessions. For the first week, you’ll watch the video on March 7 first and then complete the Week 1 material in the study book before we meet again! 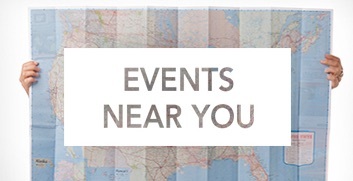 Go to your email and add “churchresources@email1.lifeway.com” to your contacts. This way, our emails are less likely to go to your spam folder. Our hope for the online Bible studies is not that they’ll replace community in real life. 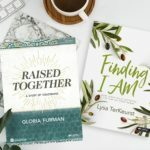 Grab a friend or two or ten and do this study together. If you’re studying solo, that’s great too! 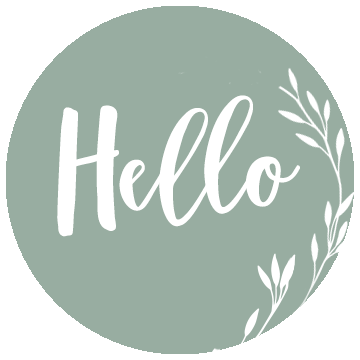 We are so glad you’re here and hope you find friends and fellowship as we learn together. **A note about the videos: For Just Open the Door, we will be offering the entire Bible study videos online for free for a limited time. Videos will remain up until May 31, 2019, allowing some breathing room for those who join in late or miss a couple of weeks. After that time you can rent or purchase the video sessions here. 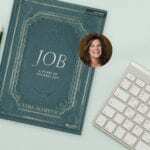 Announcing the Job Online Bible Study | Sign Up! I registered to have an online log in so I could sign up for the online bible study and it does not have it listed as an available study. As the launch date gets closer, will it become available so I can sign up and receive the emails? Hi, Kelli! 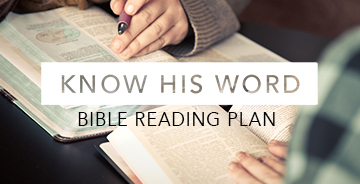 Once you get on the blog, follow the Online Bible Studies tab at the top of the page. Our current study is Job by Lisa Harper, so Just Open the Door will be under “Upcoming Studies” a little further down the page. This page should take you to a sign up link (the “click here” button). After that, you should see a blue “log in or register” button. Putting your login information there should sign you up for the study! You will notice that the videos aren’t available yet, but these will become available once the study starts on March 7. We hope this was helpful! I’m so excited to join another study, but would really love to see a different day offered in the future. The timing on Thursdays keeps me from ever being about to go to the store study. I’d love to see a 9:30 time slot or another day offered for a change to accommodate differing schedules! The information states that the videos are available anytime until May 31st. So you can bring them up whenever you are available. Hi Meredith! You do not necessarily have to watch the video when it is posted. You may watch it any other day or at any other time that works best for you. Our group does gather together on Thursday’s but we don’t watch the video just released. We are always a week or two behind. I hope this helps! Hi Meredith! 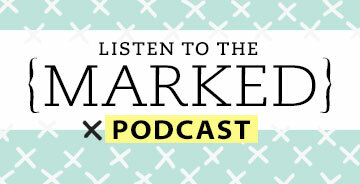 To clarify, we are not planning on offering this an in-store Bible study at this time. With that said, you can feel free to join us on whatever time or day is most convenient for you online! Oh good, thank you! I don’t think the woman above understood what I was saying. Thanks for letting me know! Can’t wait for another good online bible study.